The dry season runs through November to April and it is the best time for stand up paddling. Waters are calm and transparent so fauna underwater can be see. That said, it is still possible to stand up paddle even in the green season which is the wet season. Catch some waves and use the board like a surfboard. It is a sportive activity which enables you to relax and keep fit while enjoying the beautiful surroundings. 1. 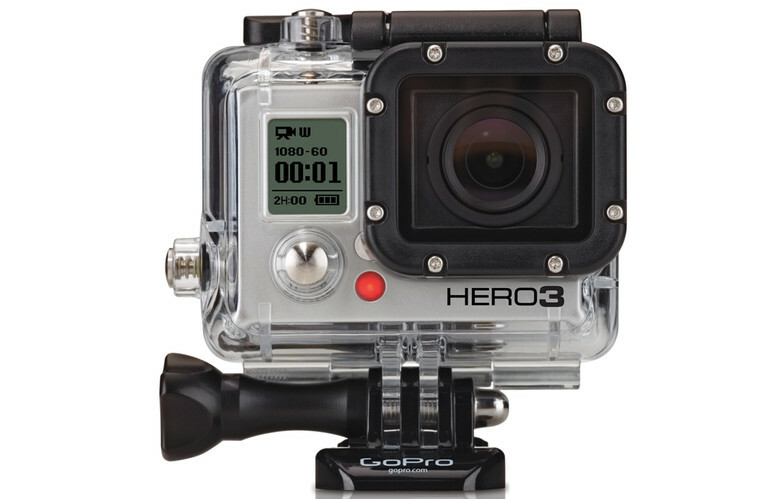 How to choose the Equipment ? 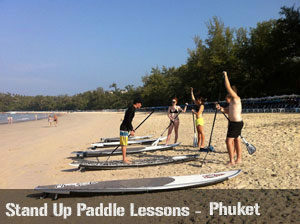 The island of Phuket offers numerous beautiful beaches where Stand Up Paddle is a common activity. Whether is it the dry or the green season, the best places to Stand Up Paddle in Phuket are located on the west of the island. 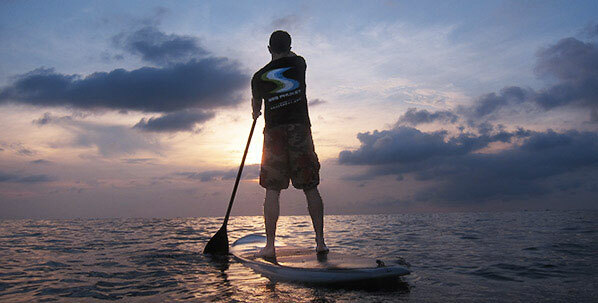 The ideal conditions for Stand Up Paddle are often places with clear waters with rich aquatic flora. It is always a good idea to complement Stand Up Paddling together with snorkeling or even free diving. 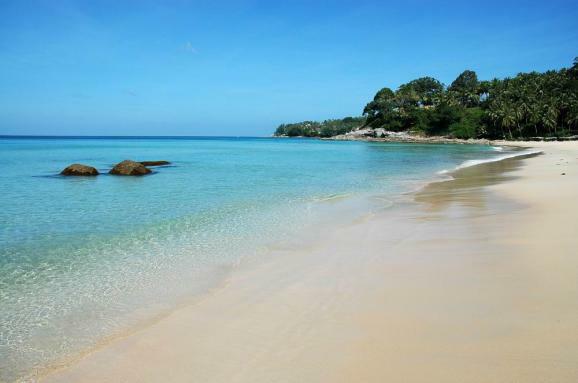 Nai Thon is one of the most beautiful beaches on the island. 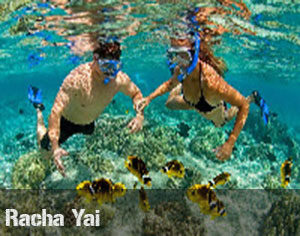 This place is ideal for people who would like to avoid crowded touristy areas and to enjoy the calm waters. 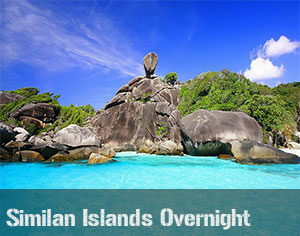 In the south of the beach, you can find several small magnificent islands covered with greenery. The conditions really make it very favourable to Stand Up Paddle and it is the reason why we would advise travellers to Stand Up Paddle , Snorkel or Free Dive at the same time to enjoy the beautiful beach at its maximum. major hotels, it still is possible to find a calm spot to Stand Up Paddle. stand on the board and maintain balance. Surin is naturally stunning, the crystal clear and calm waters would call out to Stand Up Paddlers . However, be wary of the rocks in the center that may not be visible all the time especially during high tidal periods. 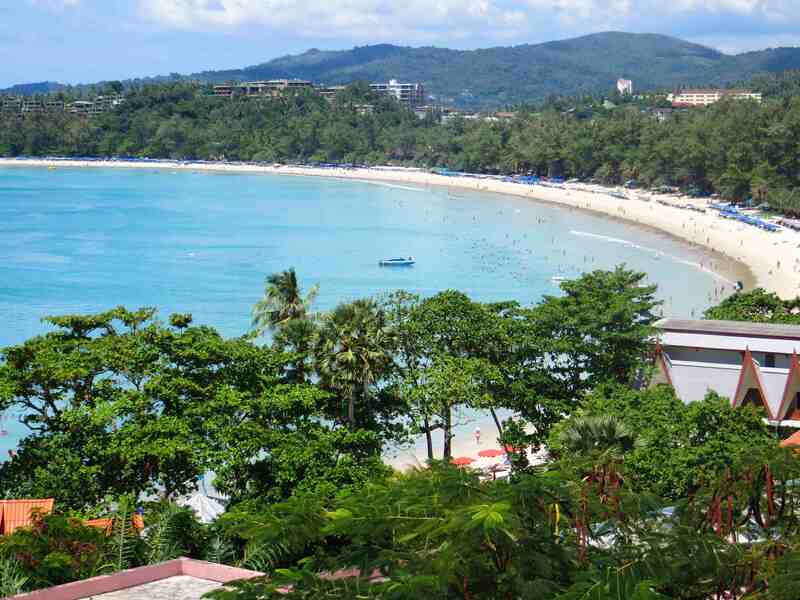 Kamala Beach is a 2.5km bay which run northwards of Patong. The coral reefs are in abundance and you would thus be able to enjoy your Stand Up Paddle session together with snorkeling or diving to catch a glimpse of the fantastic fauna underwater. In low season, the conditions for SUP is not necessarily the best and we would advice people who would like to go to the other beaches for better SUP conditions. 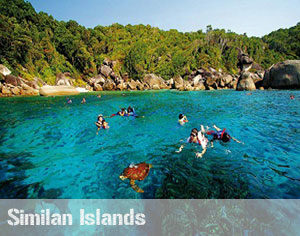 There is also a dive site near Karon Beach named Karon rock. 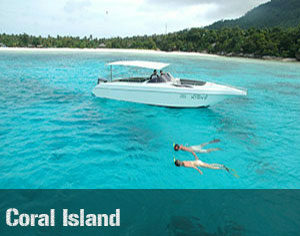 Likewise, you would be able to enjoy not only SUP but also snorkeling or diving activities in this area. 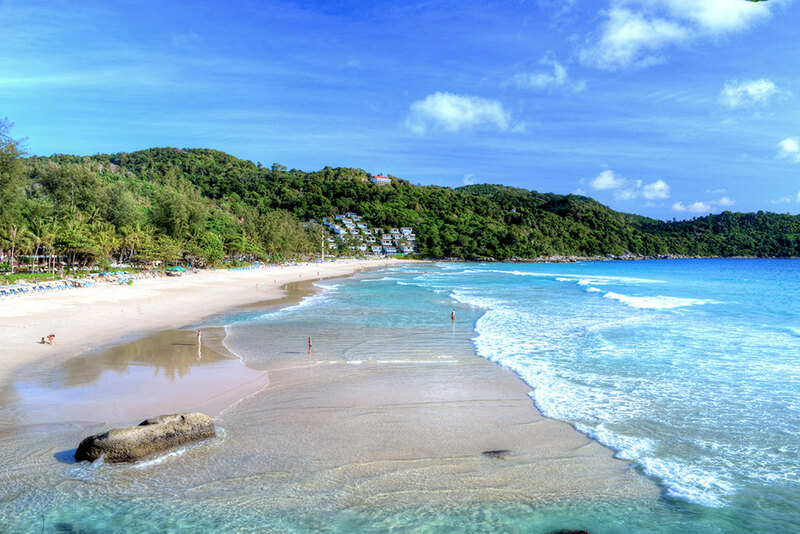 Kata Beach is one of the most beautiful beaches in Phuket. This is beach is reputable for its white sand and clear waters. This beach is very family and kids friendly , with palm trees and restaurants around it. In the high season, it is good to Stand Up Paddle especially for newbies. 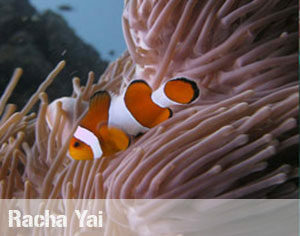 A huge part of the coral reefs in Phuket can be found at Kata Beach. 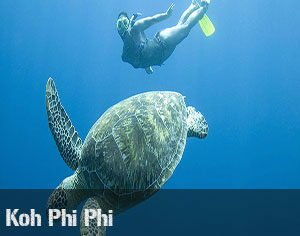 Similarly to Karon, this site is also known for diving. Take a moment to explore this amazing site under water after Stand up paddling. Kata Noi is a little bay situated at a dead-end which makes it a very secluded and calm location compared to the other beaches. During the monsoon season, this beach reveals itself as a good surfing spot. During the dry season, the water is calm and divers would be able to have a good time checking out the local flora and fauna. The southern side of the beach which is pretty rocky highlights this site as a third possibility after Karon and Kata for diving. Nui Beach is a little unique beach situated between two famous viewpoints Windmill and Promthep cap. It is situated in a little creek with little hotels around the beach which makes it a very calm and relaxing area. However, this beach remains relatively small and can be very quickly filled up. The access to this beach may be more difficult because there is only one rocky way up. This site can be interesting but the access remains challenging as a dive site. 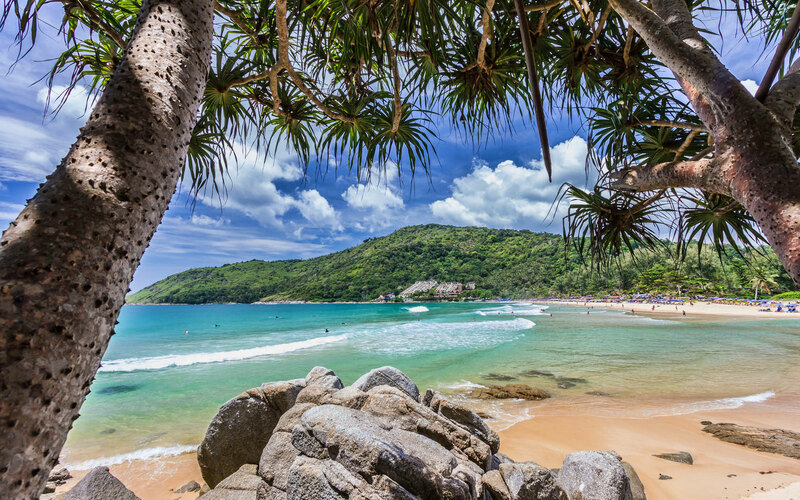 Nai Harn is a beach with only two hotels and several small local restaurants. In the high season, the length of the beach allow more tourists to come to the beach without having a sensation that it is overcrowded. 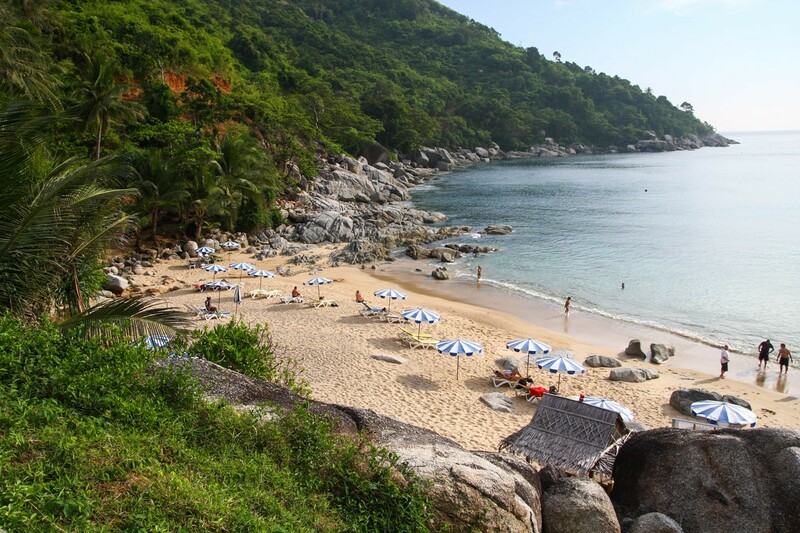 In short, Nai Harn is a rather calm seaside resort with several amenities. 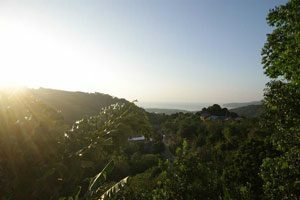 Activities that you would be able to engage in are strolling along the lake, sun bathing on the beach and of course, the stunning views of sunset. To ensure that you would have a good day of Stand Up Paddle, it is extremely essential that you would have quality equipment with you. Take your time to choose the type of board you would like depending on your profile and your level. If you would like to enjoy the surroundings, you would pick up a LONG BOARD. If you are looking for more excitement to catch some waves as well during the green season, choose the surfboard ! 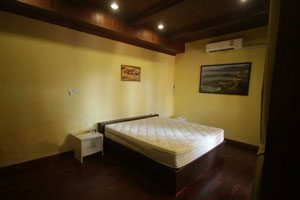 If you are not sure, you also have the possibility of renting a multi-purpose board. Each board has its own characteristics, therefore as for beginners, you would have to trust your instructors who would choose the board most suitable for you. 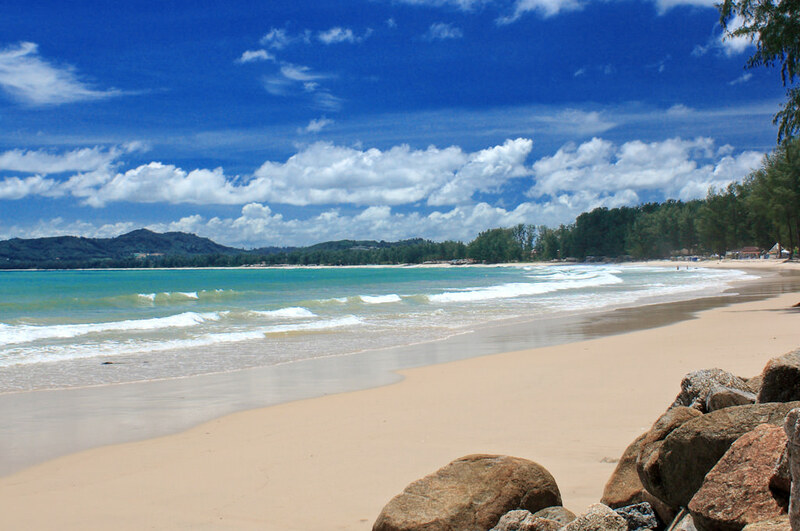 SSS Phuket can be found on Patak Road at Kata beach. Here, you would be able to find Starboard boards. Experts agree that this is the best supplier of SUP boards, for both beginners and advanced individuals. 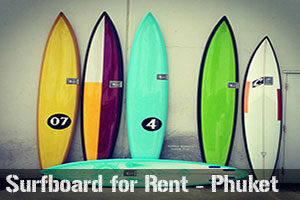 Another advantage is that once you decided on the rental, SSS Phuket would take care of the transportation of the board both to and fro. 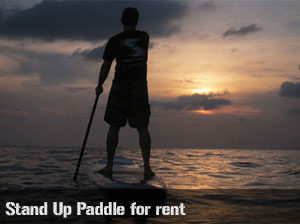 Specialised in Surf and Stand Up Paddle, you would be able to rent SUP equipment. They are located at the Bliss Beach Club on the beach of Bangtao. 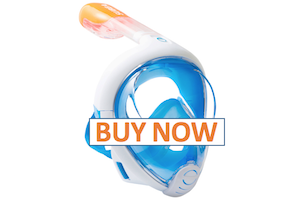 Situated along the road 4025 between Surin Tesco Park and Surin Plaza, Saltwater Dreaming Surf proposes all the necessary equipment for SUP. Courses are also available during high season. 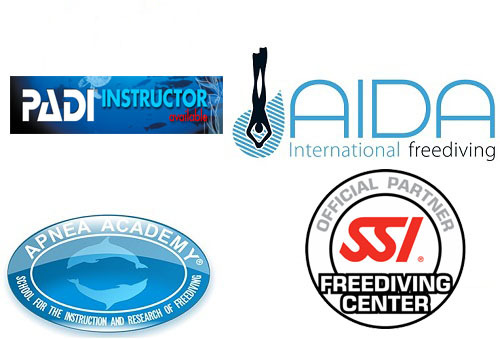 If you would like to master SUP, it is important to learn the correct techniques with the professional instructors. Before you would be able to SUP independently with your board, it is highly recommended to take up a few classes. 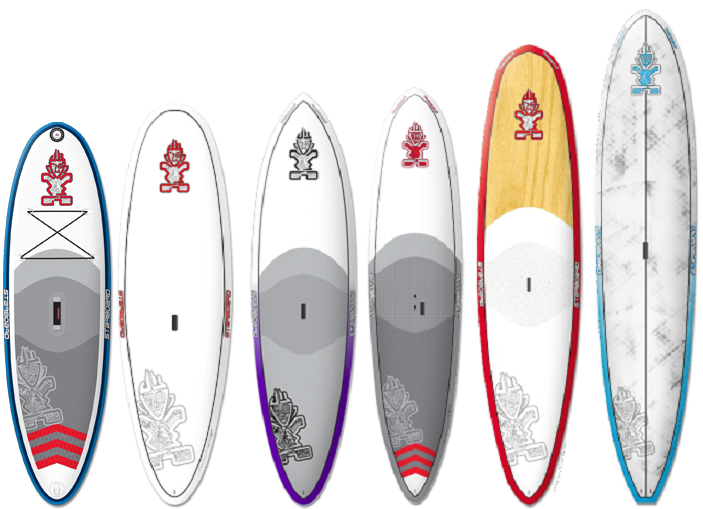 Also note that there are several different styles for SUP. The boards and the techniques are different whether you decide to go on a calm stroll on the waters or whether you would like to catch some waves. 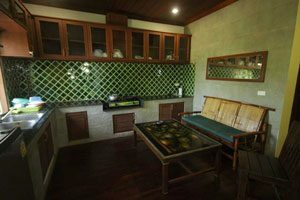 Depending on your level, SSS Phuket proposes different options to suit your needs ! You have 5 different options to choose from ! The meeting point would be at SSS Phuket. You would have to make your way to the shop yourself and the equipment would be transported directly to the location of your choice. During this course, the basics of SUP would be taught by your instructor. After a short presentation of SUP of 15 minutes, you would be ready to climb on your board to familiarise yourself with it. 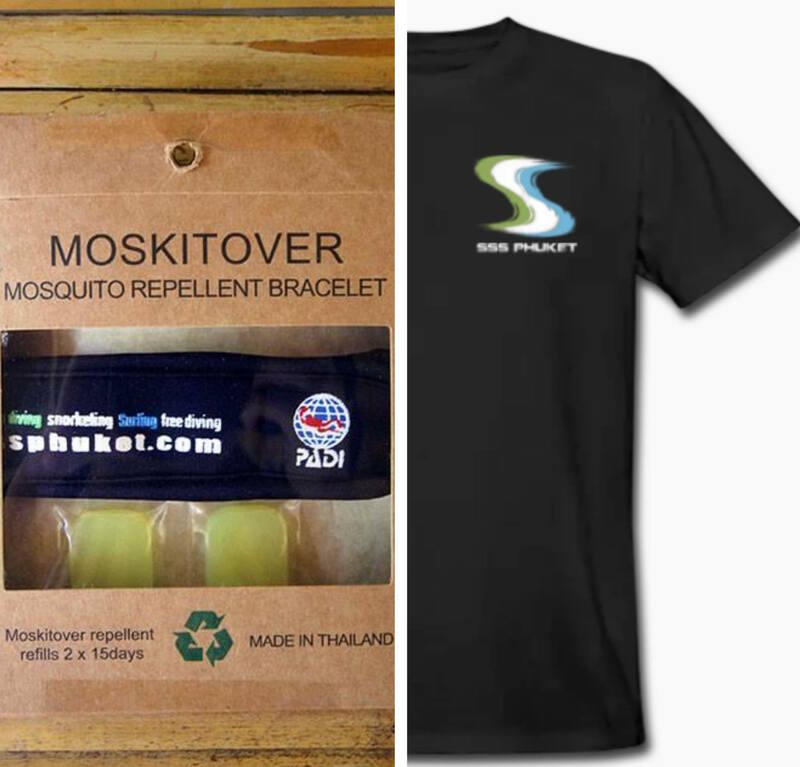 At the end of each lesson, the equipment would be returned to the SSS Phuket Team. Besides the usual courses, SSS Phuket also proposes SUP camps for Surf/ SUP fans or beginners who would like to have intensive course to master SUP. 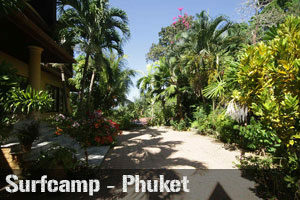 These camps are an alternative to the usual lessons and lodging and scooter is included in the package. 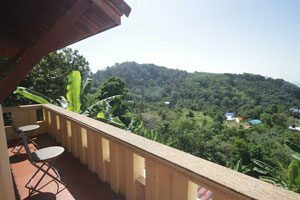 The location of the accommodation is an exceptional site surrounded by nature in the highlands of Phuket. 3 options for you to have an unforgettable and unique experience! 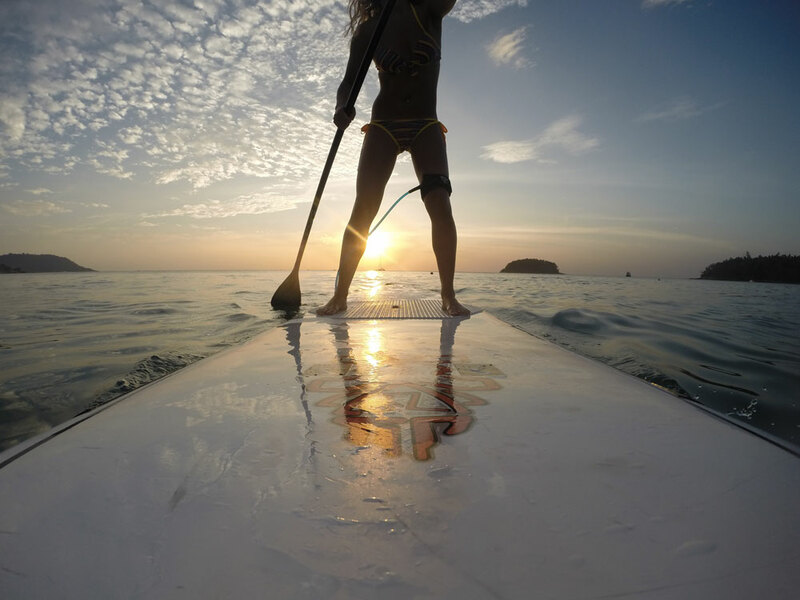 During your SUP camp in Phuket, you can choose to take classes of 3 hours a day divided into 2 sessions of 1h30 in the morning and in the afternoon. You will learn the basics of staying on the board and then the techniques through an experienced instructor. Do not hesitate to combine SUP lessons together with snorkeling, diving or even free-diving to up the wow-factor. 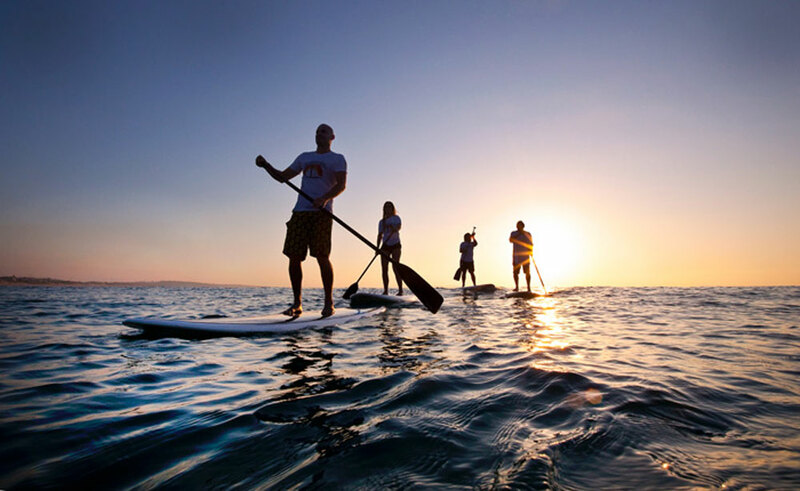 Stand Up Paddle is mainly an activity for the high season to enjoy the beautiful surroundings with the clear waters and the abundant aquatic flora and fauna. For the wave lovers, it is for sure still possible to SUP in the low season to catch some waves at the same time. In these two cases, the best sites to go to for SUP would be the beaches in the west coast. For the beginners, it is strongly recommended to take the up the course to ensure that you master the basic techniques. For the more adventurous individuals and even the more passionate, take up the option of the surf/ SUP camp and immerse yourself fully ! The most important thing to remember is that there are many awesome places in Phuket to Stand Up Paddle no matter what your level is and wait no longer !